This week's giveaway is from Jenn of Squishy Cheeks Designs and she is giving away this soft and cozy turquoise knit cowl. 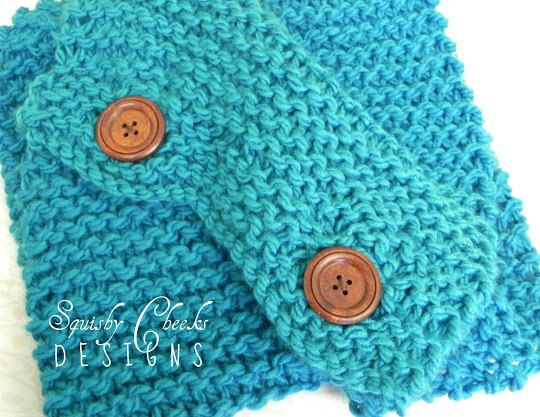 Jenn created this soft and cozy turquoise knit cowl with wooden buttons. The cowl is versatile with the option to button one or both buttons and will quickly become your favorite accessory for Spring, Autumn or Winter. The cowl is approximately 12 inches wide and 24 inches around and features two 2 inch wood buttons. Visit Squishy Cheeks Designs, pick your favorite item and leave a comment on this post about it. (Scroll to bottom of post and click on Comments) Please make sure you include your email address so we have a way to contact the winner! 7. Become a Facebook Fan of Squishy Cheeks Designs Comment back here with your Facebook name. Existing fans just leave your Facebook name here. 8. Follow Squishy Cheeks Designs on Twitter. Comment back here with your Twitter link. Existing followers just leave your Twitter link here. 9. 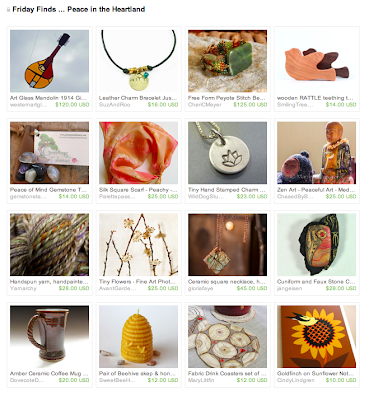 Follow Squishy Cheeks Designs on Pinterest. Comment back here with your Twitter link. Existing followers just leave your Twitter link here. 10. Follow Jenn's blog. Leave a comment here letting us know you are a follower. If you are already a follower, leave a comment anyway, as each comment is an entry. 11. Contest ends Saturday, May 11th at 12:00 noon Central. One winner will be chosen by Random.org. Sometimes what we crave is not so much "fun" as a peaceful interlude. A slow news day. A quiet distraction for our eyes and ears. 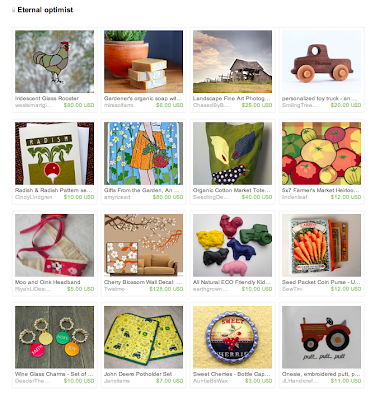 It is my hope that the following collection of items from Minnesota artisans on Etsy offers just such a respite. It's accompanied by almost ethereal music from Minnesota's own Peter Ostroushko (there's a link to a YouTube audio page in the curator's comments box), so I encourage you to link on over to the collection on Etsy in order to enjoy the full experience of images and sound. 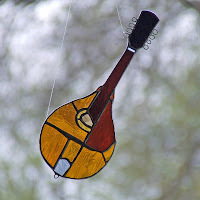 The idea to connect an Etsy treasury to a source of music comes from one of our HandmadeMN Etsy artisans, Brian Western of Western Art Glass, who has been making treasuries with just such a pairing for some time now. This week's giveaway is from Randi of GloriaFaye. She is giving away this wonderful ceramic pendant necklace. 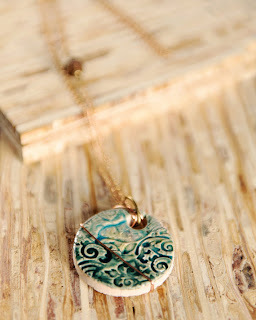 Randi made this pendant in a two tone teal crackle color with bird and flourish detail. The pendant is about 2" on antiqued copper chain with a wood bead detail. The necklace slips over the neck, so no hassles of a clasp. The chain is 28" in length and hangs 14" landing right below the chest. Randi says: "Every necklace I make is fun surprise! Every time they come out of the kiln they are a unique one of a kind beauty." Contest ends Saturday, May 4th, at 12:00 noon Central. One winner will be chosen by Random.org. Please leave each in a separate comment, as each comment is an entry (To qualify for extra entries you must do step one above). And don't forget to include your email address! 7. Become a Facebook Fan of Gloria Faye. Comment back here with your Facebook name. Existing fans just leave your Facebook name here. 8. 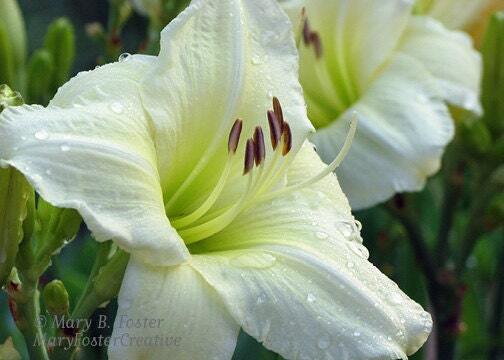 Follow Gloria Faye on Twitter. Comment back here with your Twitter link. Existing followers just leave your Twitter link here. 9. Follow Gloria Faye on Pinterest. Comment back here letting us know you are a follower. 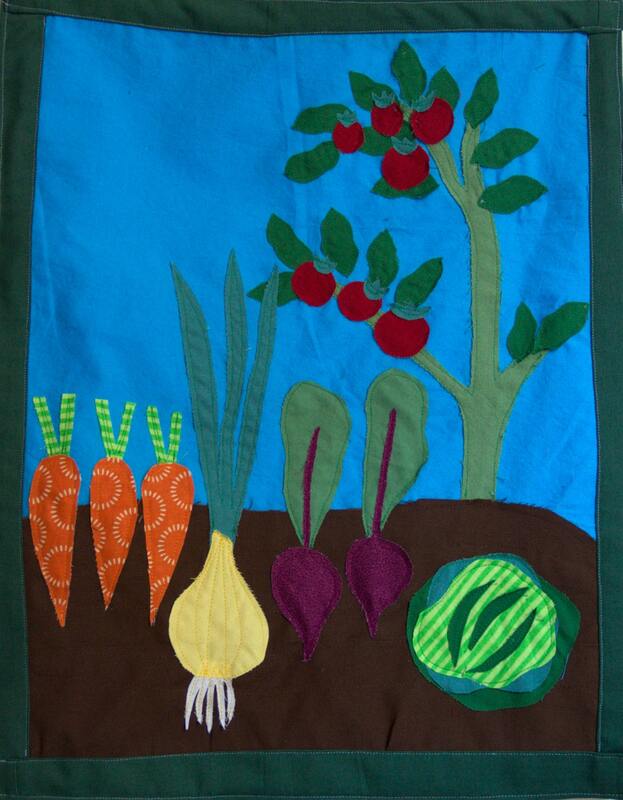 Fun Friday Finds ~ How does your garden grow? We are currently experiencing an April snow storm. Not just a little snow flurry. It's the real deal. We didn't have this much snow at Christmas! It is wreaking havoc on our moods and our ability to go about our typical spring activities. I usually start planting the seeds for my vegetable garden. 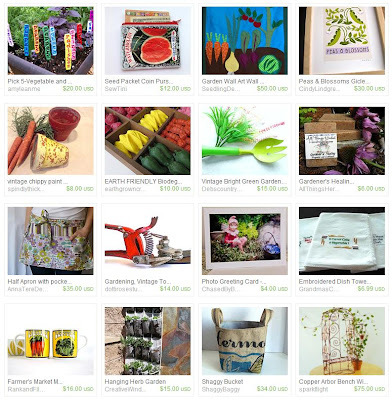 I'm wondering if it's even going to be possible to grow a successful garden this year so I'm enjoying gardening items created by local artists. I hope you do too! 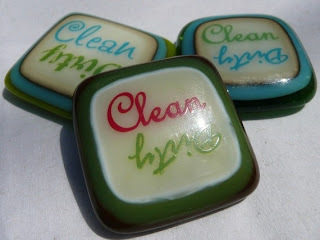 This week's giveaway is from Monique Parent of Glass Garden Designs and she is giving away this pretty and purposeful Clean/Dirty Dishwasher fused glass magnet. This "Clean or Dirty" dishwasher magnet solved a problem in Monique's household. Members of her family would grab a glass out of the "clean" dishwasher and close the dishwasher door. It would turn off the little light that indicates if the machine is full of CLEAN dishes. With this magnet, all the family has to do is turn the magnet to "clean" when they start a load, and turn it to "dirty" when they unload. Now, the whole family knows if they can grab a glass for their morning orange juice because the magnet is set to CLEAN! The magnet is approx. 1.25" to 1.5" square and made of high-quality fully-annealed art glass with the words "clean" and "dirty" in matching colors. The magnet is designed to keep track of what's going on with the dishwasher in the average crazy family household! Visit Glass GardenDesigns, pick your favorite item and leave a comment on this post about it. (Scroll to bottom of post and click on Comments) Please make sure you include your email address so we have a way to contact the winner! 8. Contest ends Saturday, April 27th at 12:00 noon Central. One winner will be chosen by Random.org. It's still snowing. 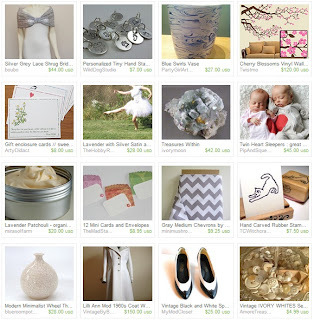 This new blanket of white made me make an all-white treasury! This week's giveaway is from Ali of Miles to Go With Ali. She is giving away this 5-pack of her awesome greeting cards! 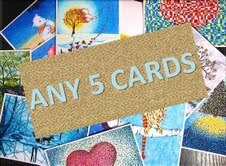 The winner gets to pick any 5 greeting cards from Ali's Etsy shop! 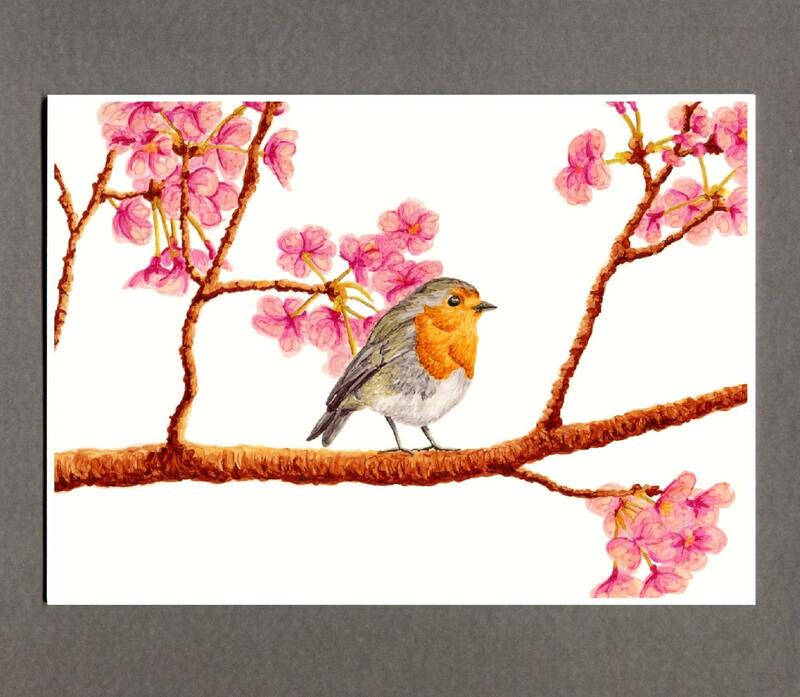 Each high quality greeting card is a print of Ali's original art and illustrations. Using alcohol-based Copic inks, she creates images ranging from whimsical to surreal, from animal lovers to nature lovers. 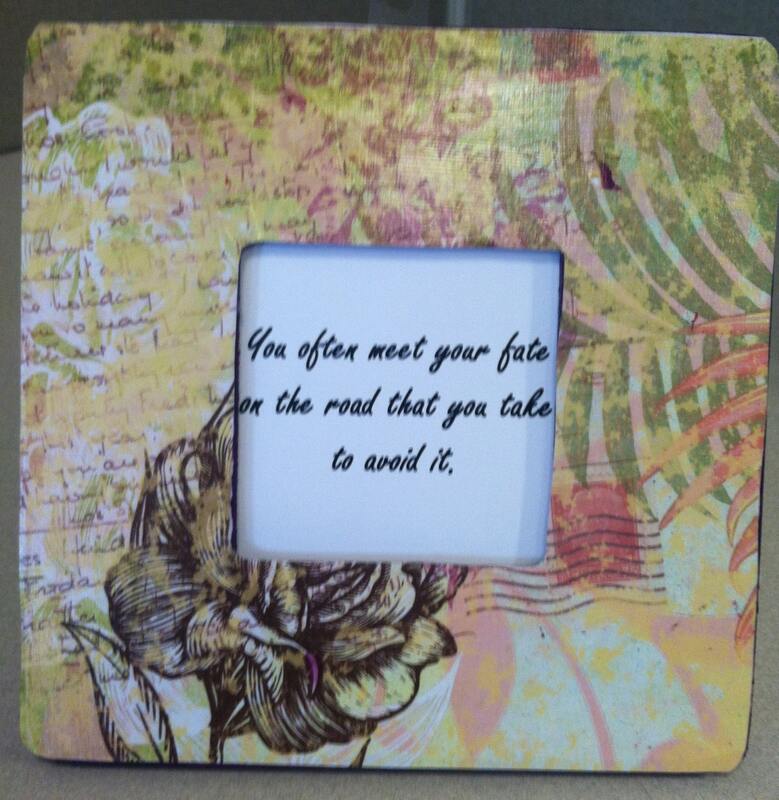 Ali's cards are even worthy of framing to display as original artwork in your home or office. Each card is 5"x7" and includes an envelope. Contest ends Saturday, April 20th, at 12:00 noon Central. One winner will be chosen by Random.org. Please leave each in a separate comment, as each comment is an entry (To qualify for extra entries you must do step one above). Be sure to include your email address so we have a way to contact you if you win! 7. Become a Facebook Fan of Miles to Go With Ali. Comment back here with your Facebook name. Existing fans just leave your Facebook name here. 8. Follow Miles to Go With Ali on Twitter. Comment back here with your Twitter link. Existing followers just leave your Twitter link here. Voting ENDS at midnight on APRIL 15th. Sure, the drought persists. Yeah, there's a risk of floods because the frozen ground can't absorb the melting snow fast enough. Never mind all that -- it's spring! If our farmers weren't optimists, surely we would all starve! So, let's celebrate the optimism that spring inspires, and the people who will soon be plowing the fields to feed us all. Just click on the image below to visit the collection on Etsy, and from there you can click on each item and perhaps find something you simply must own.